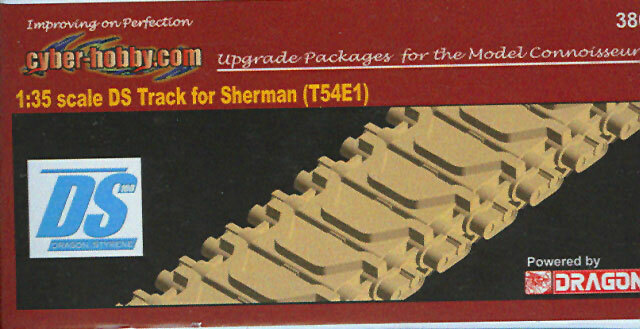 There is an old saying – “be careful what you wish for.” Many modelers groused for years about wanting single-link track sets for 1/35 scale armor models, as this was the “state of the art” in aftermarket kits from Japan in plastic or Europe in resin. Dragon was the first major manufacturer to listen to their requests, and honor them. But like Daffy Duck yelling “Let me have it!” and the last thing he sees is the 16 ton Acme anvil coming down on top of him, so it was with the DML single link tracks. Each VVSS set for DML M4 medium tank kits consisted of three separate parts - a pad and two end connectors – and was among the most onerous and tedious task to clean up and assemble, and if not done right the tracks were very, very fragile. Their HVSS sets were not much better – single link pads but requiring all of the center guides to be trimmed up and cemented to the edge of the link center connector, also tedious and prone to being popped off if not careful. Later, when DML developed its very handy “DS” plastic which combined the ease of assembly of styrene and the detail quality of vinyl or resin, they began to offer these tracks with their kits. But due to the misery of the early tracks (as seen on more than a few websites and also in modeling reviews and articles) many DML kits wound up sitting on shelves. 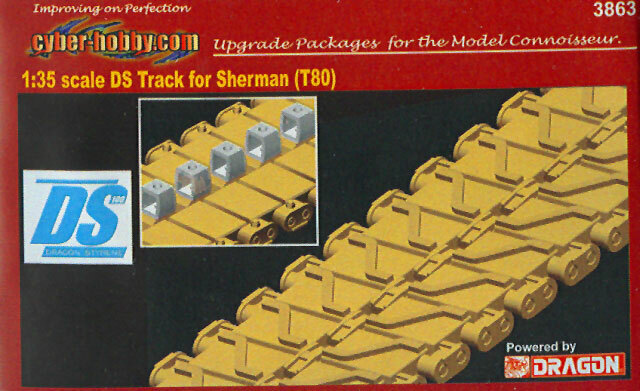 Now DML’s affiliate cyber-hobby.com is offering the track sets as a regularly available aftermarket purchase item. These sets permit the upgrading of older kits with modern tracks; since many of their older kits are still reasonably good, it permits simplifying the assembly and thus move kits off shelves in boxes to sit on shelves or in dioramas as completed kits. The kits provide three VVSS (e.g. 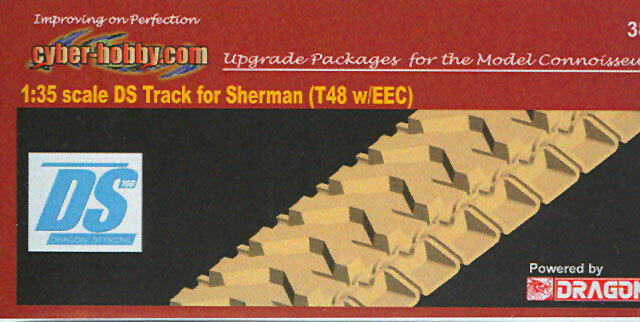 single bogie wheel) sets – the T48 or “rubber chevron” tracks, the T48 with extended end connectors (“duckbills”), or the T54E1 cast steel chevron patterns. Each one is beautifully done and offers a much better looking (and easier!) option than the kit’s original track sets. 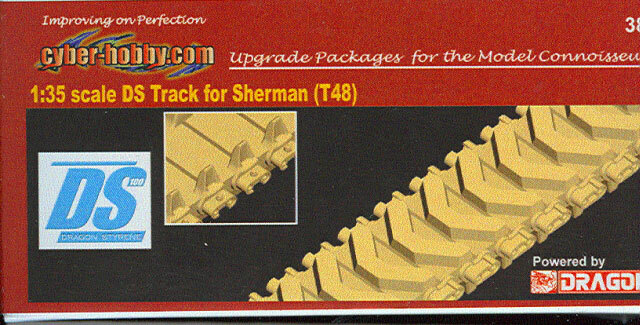 The other kit provides the HVSS (twin bogie wheel) set of T80 cast steel chevron tracks. These still require cementing the center guide in place – but the center guides are now “slide molded” parts requiring minimal cleanup and assembly is actually much easier as the track runs are in one piece. All sets come rolled inside the boxes for protection and to prevent warpage. Overall these are reasonably priced and very handy to have, either for upgrading older DML kits or use to “mix and match” on M4 series tanks to get the “right” tracks.